Thanks for stopping by! 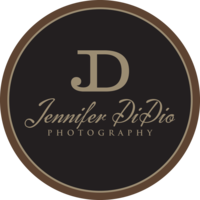 I'm Jennifer, owner and photographer of Jennifer DiDio Photography. My studio is located in Westminster, MD. At my core, I am a storyteller and an artist. My portraits beckon the viewer to come and take a closer look. Come ask questions. Be known. Come share your story. We know that having portraits created can cause a lot of anxiety for people. This is where my team shines. Sara, our studio manager, is a behind the scenes ninja who manages all the details of your shoot so you can relax. Jill, our stylist, is a magician with her hair and make up transformations. I gently guide you through poses and lighting set ups that will flatter you and have you saying, "these are the first portraits of myself that I love!" The women who come for Cinderella portraits are all everyday women who trusted my team and I to bring out their most beautiful. So, take a deep breath and know you're in good hands! I am absolutely relentless about finding the best and most beautiful for every client. Capture the relationships that mean the most to you in beautiful keepsake portraits. Just one day where you are at the top of the to-do list! We believe that every woman should have portraits of herself that she just loves. Too often, as women, we are absent from photos. It's time to come out of hiding for ourselves and for the legacy we leave our families. Come and Unveil your Cinderella. Our Unveil your Cinderella experiences are our specialty. These sessions are all about slowing down and luxuriating in an incredible make over with our stylist, Jill, and then being coached into poses and lighting set-ups that are your most flattering. We never stack appointments, so there is never any rushing with these Cinderella days. Beauty is unveiled as you rest and relax; Jennifer captures that in ways women have never seen of themselves. Thinking about your own Cinderella experience? Jennifer has been crafting Boudoir portraits since 2010. She loves helping women connect with part of themselves that too often gets lost in the demands of life. These sessions start with styling (and wine) and are filled with posing guidance and a lot of laughter! Beauty is unveiled as women rest and relax. Some women come as a celebration of a milestone and some come to give a gift to their husbands. Our boudoir clients are just like you, they are moms, business owners and professionals in the community so we do not publicly post our boudoir work online. If you're interested in a boudoir session, message us and we'll send you more information! thinking about a boudoir session? let's chat. Capture the relationships that matter most to you! Whether you want portraits celebrating the relationship you have with your husband, mom, daughter, sister - together we'll create portraits that you will cherish forever! Your session fee is $300 if you'd like styling and $125 without styling. (Styling fee covers your styling as well as styling for one additional person.) Additional styling can be added for more than two people. Why did Jennifer start Unveil your Cinderella? The planning session (or pre-consult) gives us a chance to meet and cast a vision for your unique session. These meetings are held in Jennifer's office where you'll be able to see the studio space and grounds and also where we'll talk about inspiration for your session. Everyone tends to be a bit nervous the day of your photo shoot. Just know you are in the hands of a professional! Jennifer's expertise in posing, lighting and post production will ensure you look incredible. 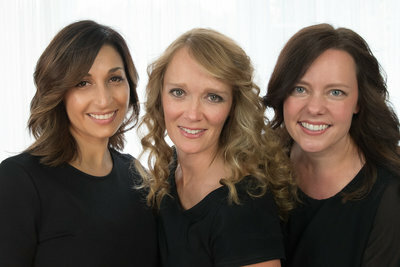 Jennifer and her team will guide you throughout the entire time. We have a styling center right in our studio space where Jill Jackson, our stylist will craft a perfect look just for you. We'll give you feedback on outfits you're considering for your session and we'd invite you to take a look at the extensive wardrobe we have here. After your session, Jennifer will artistically process your portraits. She'll ensure you look rested, as though you've come off of vacation and smooth your skin in her light handed edit work. Jennifer's clients place a premium on the quality care they receive while she covers their portrait needs. Her commitment to excellence to everything concerning her portrait coverage is something she promises to every client. She offers a 100% money back guarantee. If you don't love your portraits, your session fee is refunded. No questions, no hard feelings. "Jennifer captured a beauty in me that others have told me I have but I failed to see myself. She unveiled me in a way I never thought possible. She gave me a new outlook for myself. That I am beautiful inside and out. I'm in awe and in tears by these photos." "JENNIFER'S ABILITY TO TELL A STORY AND CAPTURE BEAUTIFUL PORTRAITS OF WOMEN WHO DO NOT FIND THEMSELVES BEAUTIFUL IS TRULY AMAZING. THIS EXPERIENCE WAS ONCE IN A LIFETIME AND I AM FOREVER GRATEFUL FOR THE OPPORTUNITY!"